Several participants in our C2C programs have made progress recently with their Knox-Box implementations. Their news can help motivate other cultural heritage institutions to schedule those regular check-ups with fire fighters. At last month’s Triad Area Cultural Resources Emergency Network (ACREN) meeting, Dale Pennington, Director of Korner’s Folly in Kernersville reported that a regular fire inspection of her institution prompted her to order a Knox-Box for the site and it cost about $250. 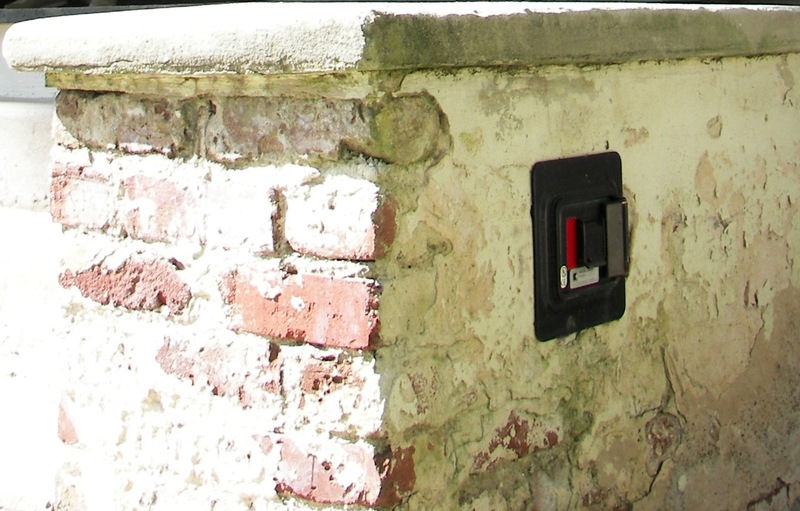 Firefighters decided that, rather than drill into the historic structure for installation, it would be better to insert the site’s Knox-Box into a metal pole coming out of the ground. This allows them easy access to crucial, site-specific information without compromising the fabric of the unique building. The High Point Museum already had a Knox-Box before their MayDay preparations motivated them to schedule a pre-plan with their fire department. During the tour of their institution, staff discussed the importance of the museum’s artifact collection and walked firefighters through the storage areas. This collaboration helped firefighters revise the emergency plan for the building and they decided to install a 2nd Knox-Box at the back of the building for quicker access to collections storage. 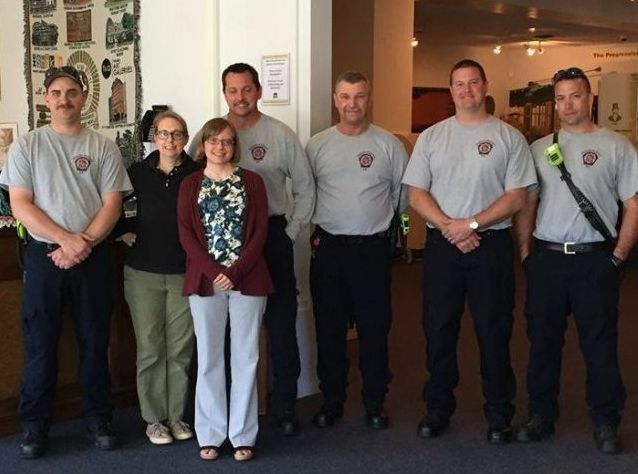 At the end of the pre-plan process, staff members Marian Inabinett and Corinne Midgett enjoyed posing for a group shot with their local firefighters (at right). Does your institution have a Knox-Box? If not, consider doing contacting your local fire department to begin the ordering process. This small step could be a giant leap for your site’s disaster preparedness. Posted on June 9, 2015, in disaster preparedness, fire and tagged High Point Museum, Korner's Folly. Bookmark the permalink. Leave a comment.